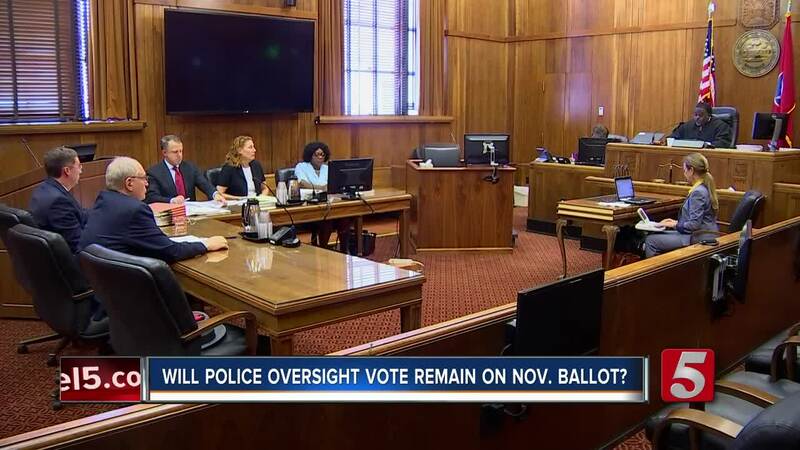 The union representing Metro Nashville police officers is seeking to get a controversial initiative removed from the November ballot. In August, a petition was filed to put a proposed community oversight board on the ballot. However, the Fraternal Order of Police filed a complaint, saying the method used to get signatures wasn't done correctly. 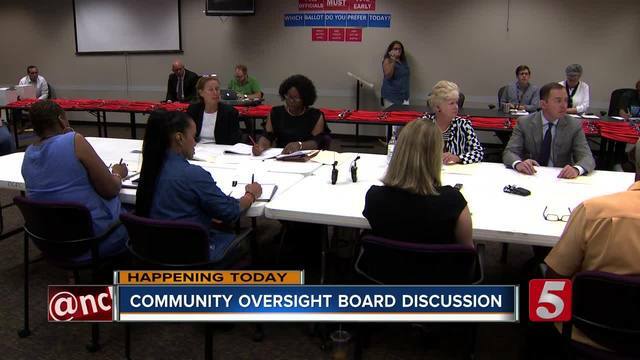 The proposed community oversight board would consist of 11 volunteers who are nominated by the community organizations, Mayor David Briley and Metro city council. Local activists feel it's necessary to have a group dedicated to investigating alleged police misconduct after Metro Police Officer Andrew Delke fatally shot 25-year-old Daniel Hambrick . Many say the shooting was not justified. After signatures were collected last month, the Davidson County Election Commission approved to put it on the ballot . Discussions centered around the question of when the previous “general election” took place. That answer would determine how many signatures Community Oversight Now would have needed to gather for referendum. The FOP argued the group "Community Oversight Now" didn’t gather enough signatures to implement the referendum. They said the wrong previous election was used to determine many voter signatures were necessary to place the issue on the ballot. Lora Fox, with Metro government, said the Election commission was correct in selecting a different election (August 2016) as the last “municipal general election,” and that the petition should be on the ballot. The FOP also said in the complaint, there is a lack of "perspective from law enforcement," and "an environment lacking due process" and a violation of "employee rights." Judge Kelvin Jones said he would make a decision on the case within a week. The union also said they are trying to work with organizations to address issues between law enforcement and the community.